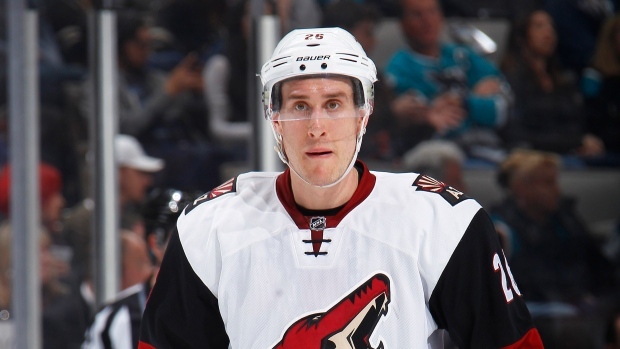 The Arizona Coyotes have traded defenceman Michael Stone to the Calgary Flames in exchange for a third-round pick and a conditional fifth-round pick in 2018, according to TSN Hockey Insider Bob McKenzie. Michael Stone to CGY for 3rd round pick and a conditional 5th in 2018. ARI retains half of Stone's salary. Condition kicks in if re-signed. Arizona will retain half of Stone's salary and will get the fifth-round pick if he re-signs with Calgary, according to McKenzie. Stone, 26, has scored one goal and added eight assists in 45 games with the Coyotes this season. The defenceman has spent his entire five-year career with the Coyotes and will be an unrestricted free agent at the end of season. The Winnipeg, MB native has 24 goals and 72 assists over 324 career games as a Coyote. Stone was drafted in the third round (69th overall) of the 2008 NHL Entry Draft.